Ghostly Greetings from Slots Capital! Do not miss your special SPOOKY bonuses; we shower you with a variety of spins! Enjoy 3 huge bonuses (150%, 250%, 300%), all of them called SPOOKY. Each week you will receive the bonus code for the bonus, as the promotion goes from today until end of the month. In case you collect and redeem them all, we will give you 100 Free Spins on a Scary Halloween themed slotgame! 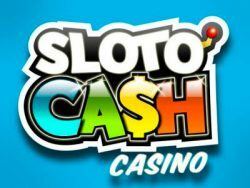 Have fun playing and win big! Terms and conditions apply. No max cashout. 30 times wagering requirement attached. Minimum deposit is $35. Playable on Slots, Scratch Cards and Keno.